Like so many great movies of the past, the Herbie catalog has been tainted by the recent addition starring coke-fueled Lindsay Lohan. 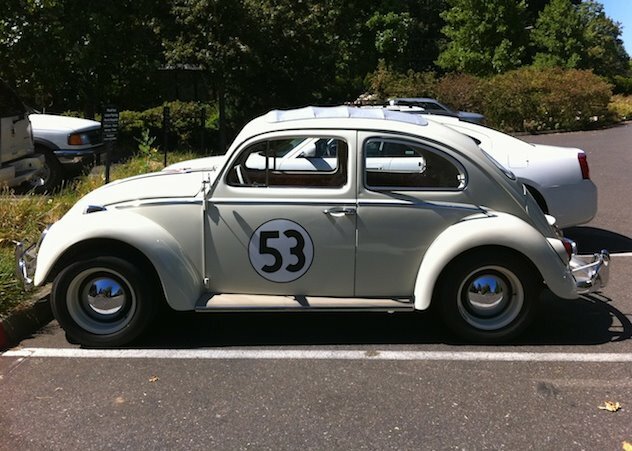 I grew up watching Herbie movies over & over... My favorite is Herbie Goes to Monte Carlo. Not only did Herbie wear wide steelies and Goodyear Radials, but there were some great cameos by other classic cars. bitchin' ragtop. i'm pretty selective about which beetles to shoot, but i would not have passed this one by.